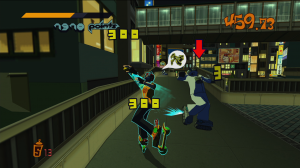 Xbox LIVE® Arcade and PC gamers (via Steam) will be able to purchase Jet Set Radio on September 19 for 800 Microsoft Points / $9.99. On the PlayStation®Network, PlayStation®Plus users will be able to get one week early access to Jet Set Radio on September 11—with non-Plus users able to purchase the game on September 18—for $9.99. PlayStation®Vita owners will be able to get their hands on Jet Set Radio at the cost of $9.99 on October 16. 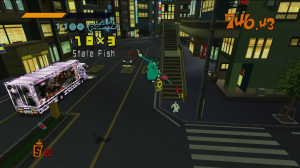 For more information on Jet Set Radio, please visit http://www.sega.com/. For more news, follow SEGA on Twitter @SEGA or “like” us on Facebook. SEGA® of America, Inc. is the American arm of Tokyo, Japan-based SEGA® Corporation, a worldwide leader in interactive entertainment both inside and outside the home. The company develops, publishes and distributes interactive entertainment software products for a variety of hardware platforms including PC, wireless devices, and those manufactured by Nintendo, Microsoft and Sony Computer Entertainment. SEGA®’s global website is located at www.sega.com. SEGA® Europe Ltd. is the European Distribution arm of Tokyo, Japan-based SEGA® Corporation, and a worldwide leader in interactive entertainment both inside and outside the home. The company develops and distributes interactive entertainment software products for a variety of hardware platforms including PC, wireless devices, and those manufactured by Nintendo, Microsoft and Sony Computer Entertainment Europe. SEGA®’s global website is located at www.sega.com. TriplePoint for SEGA of America, Inc.
For more Jet Set Radio assets, please click here.